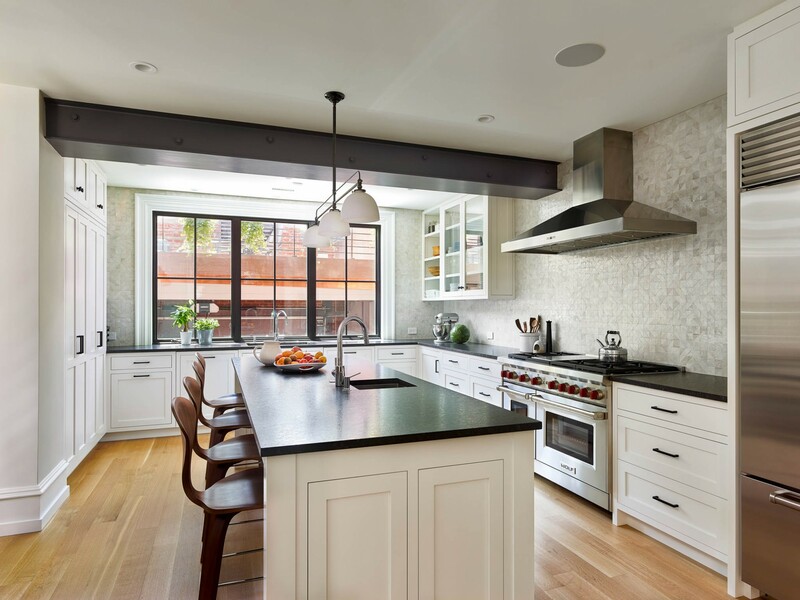 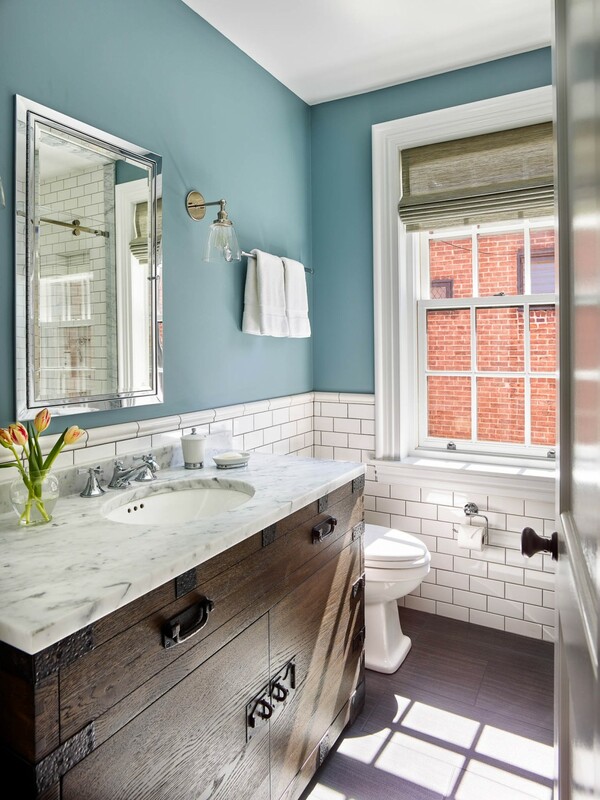 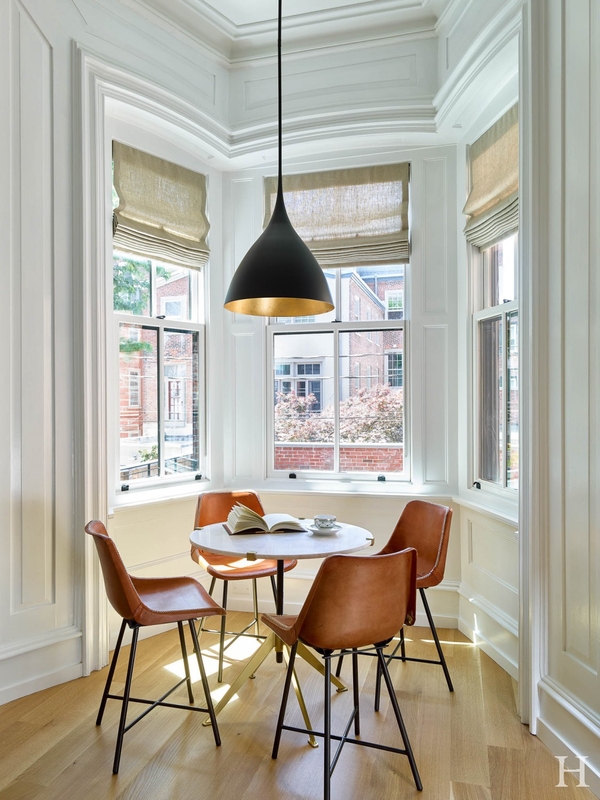 Rittenhouse Renovation – Hanson General Contracting, Inc.
Full historic renovation of a four story Delancey Place townhouse featuring all new finishes, bathrooms, and kitchen. 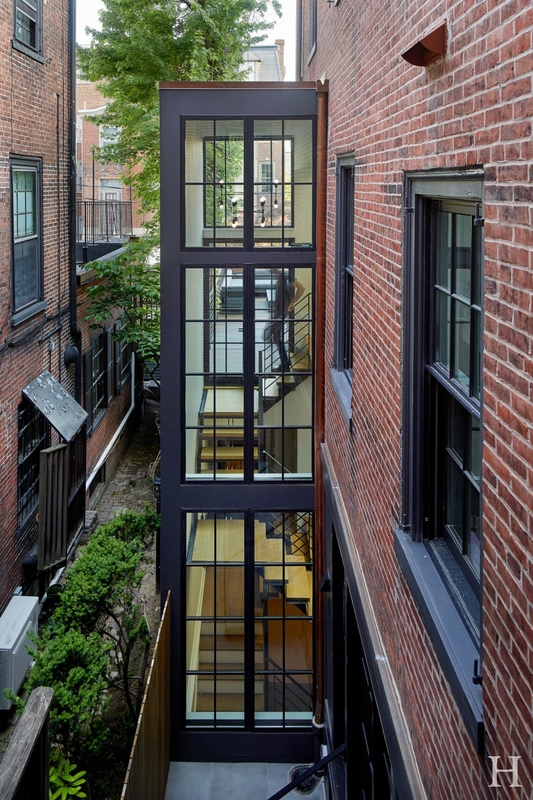 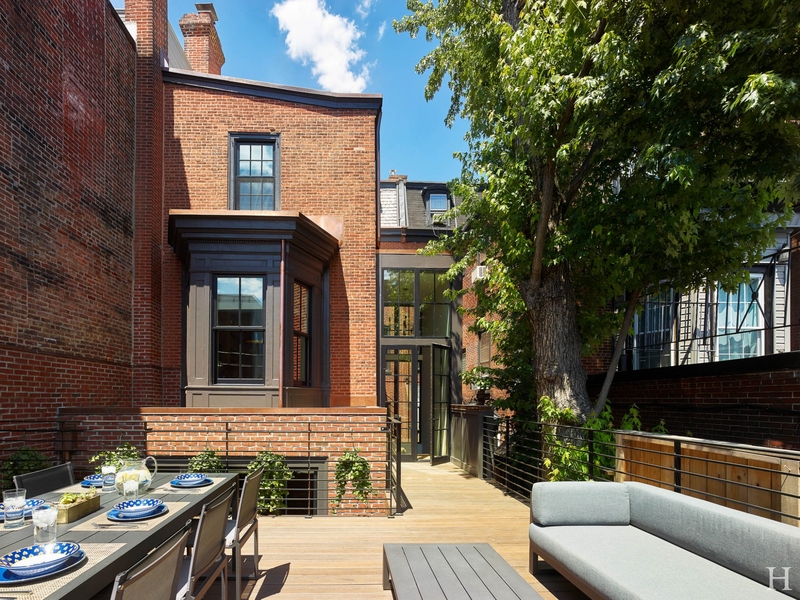 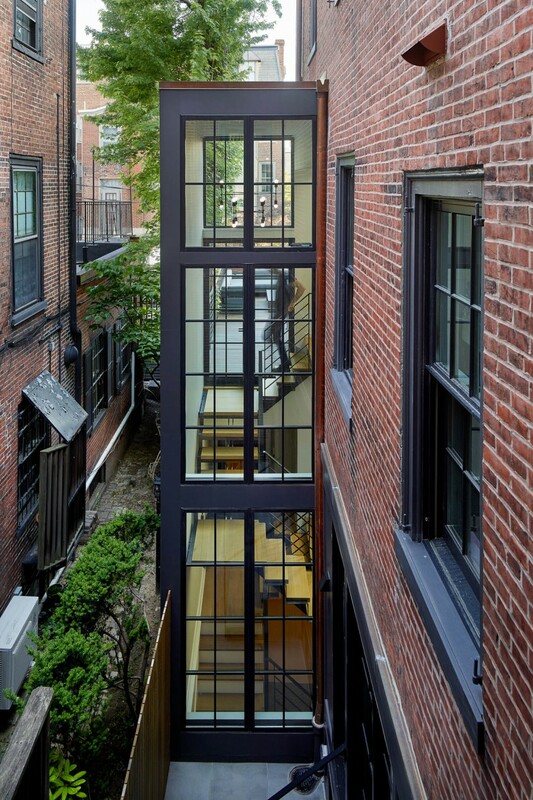 A new metal and glass enclosure surrounds a custom steel staircase that connects the basement, kitchen, rear deck, and second floor library. 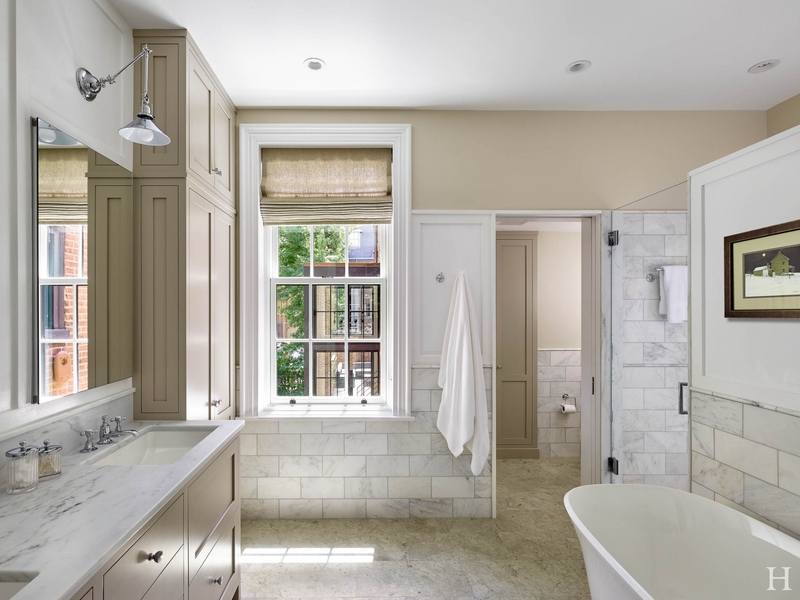 In the basement you will find a built-in wine cellar and an open plan family room. 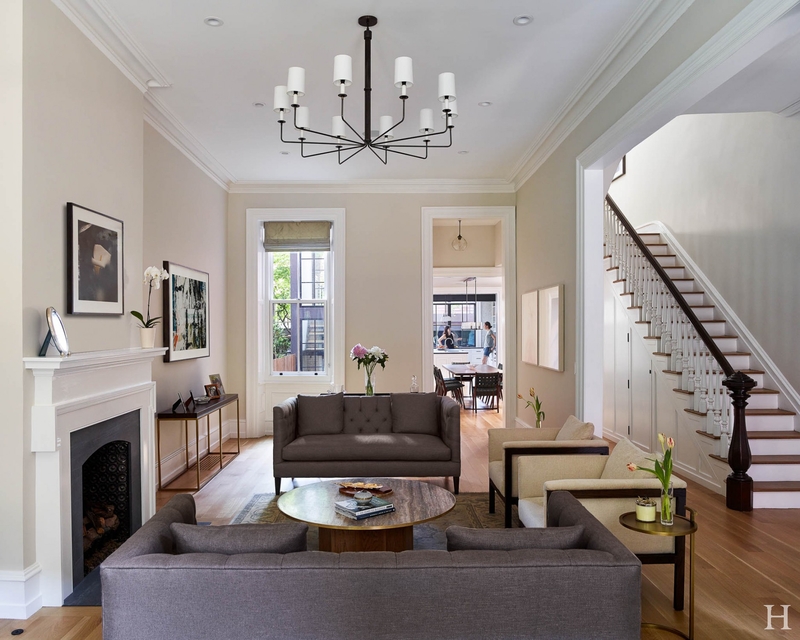 Original plaster crown moldings were matched where necessary, and new custom locally fabricated millwork was installed for the kitchen and living room.